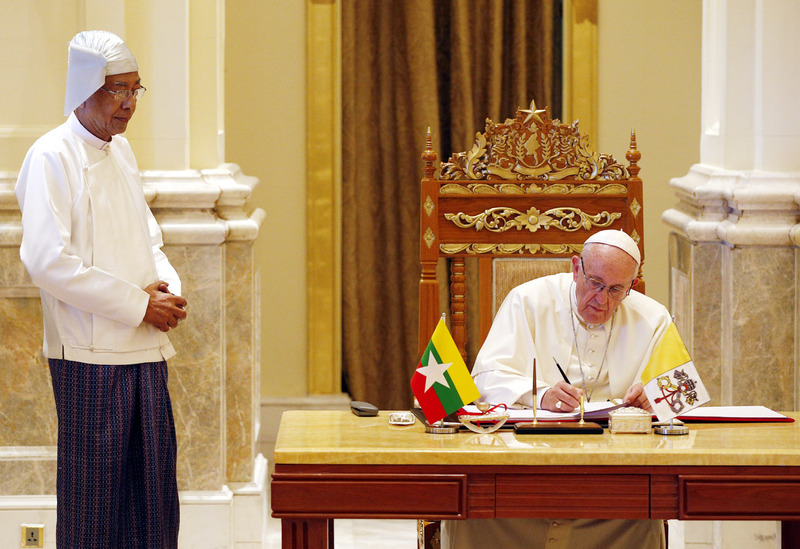 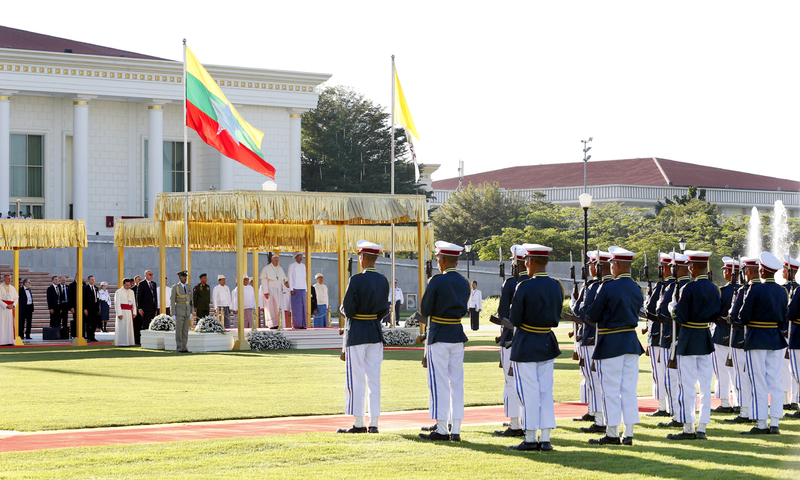 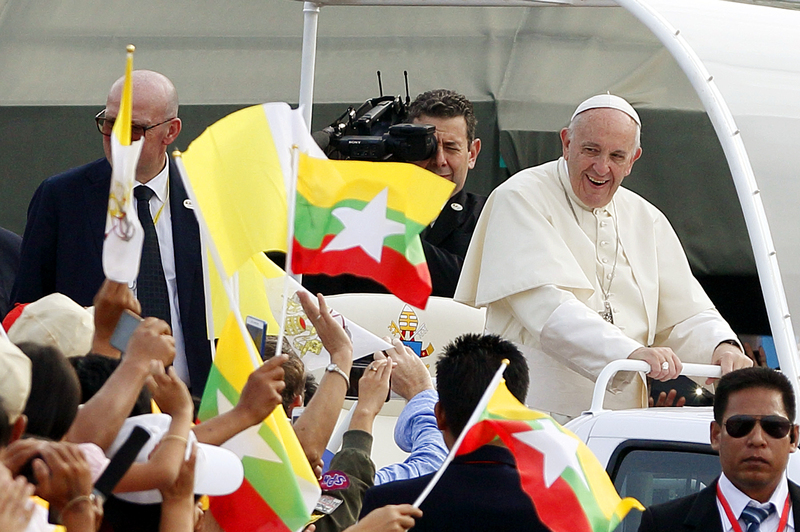 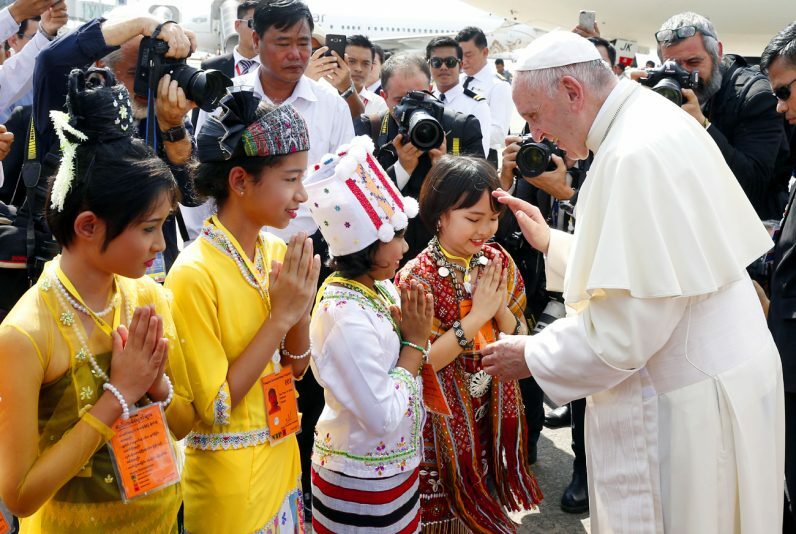 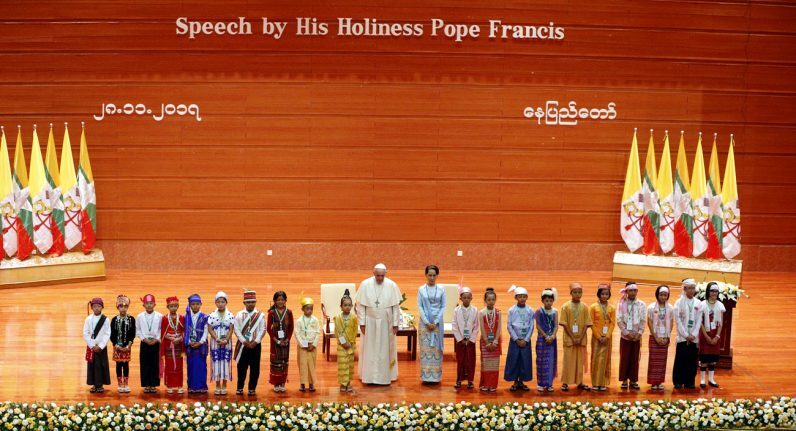 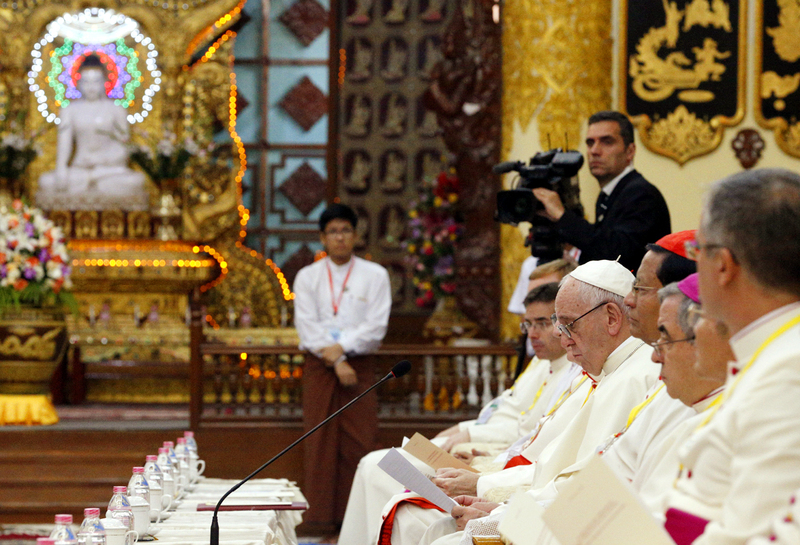 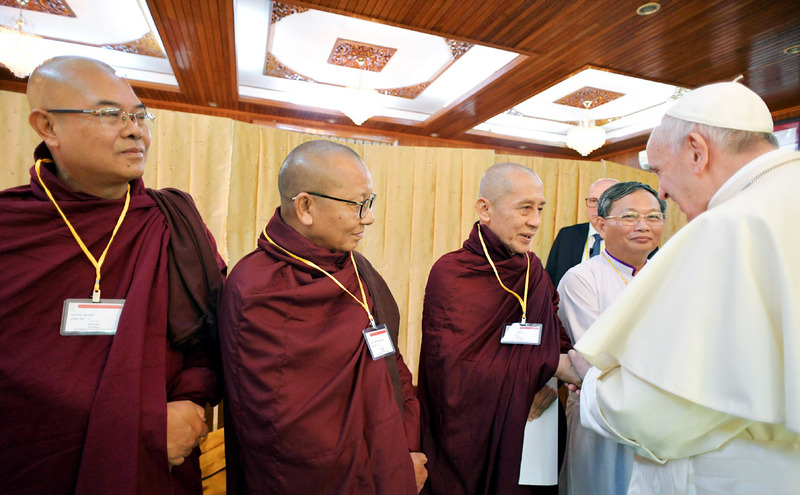 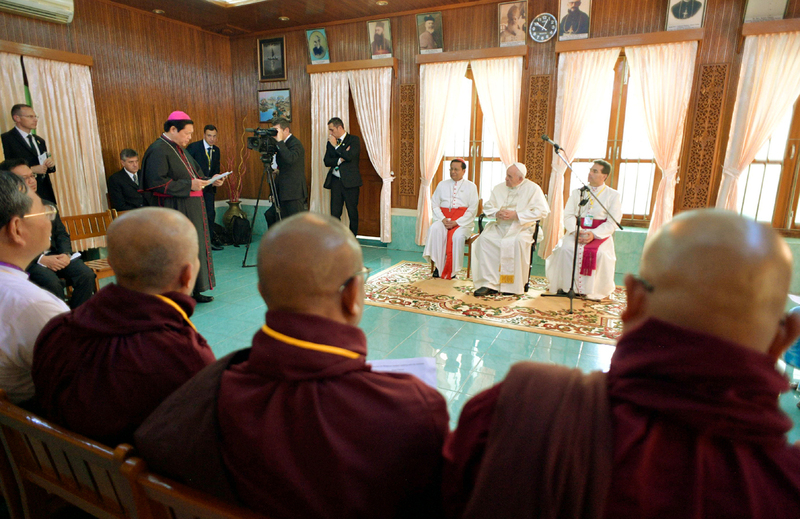 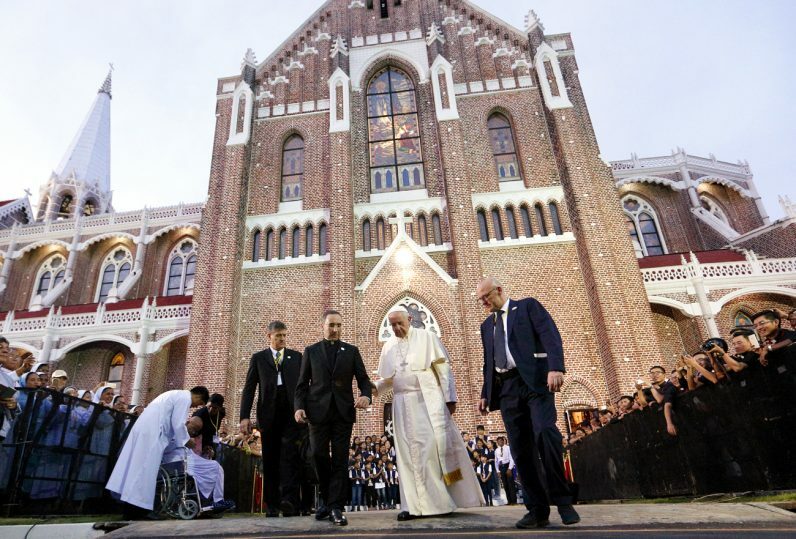 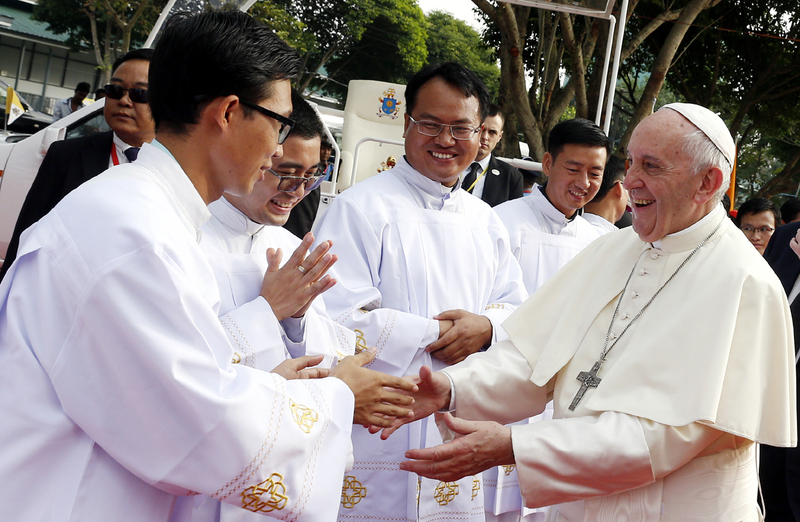 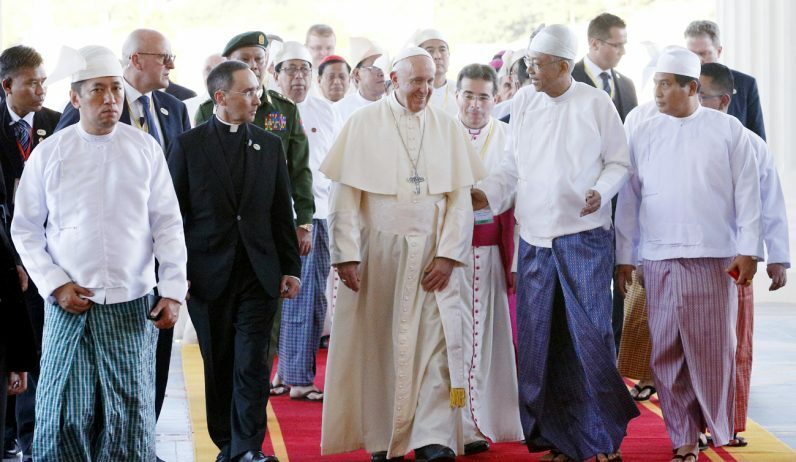 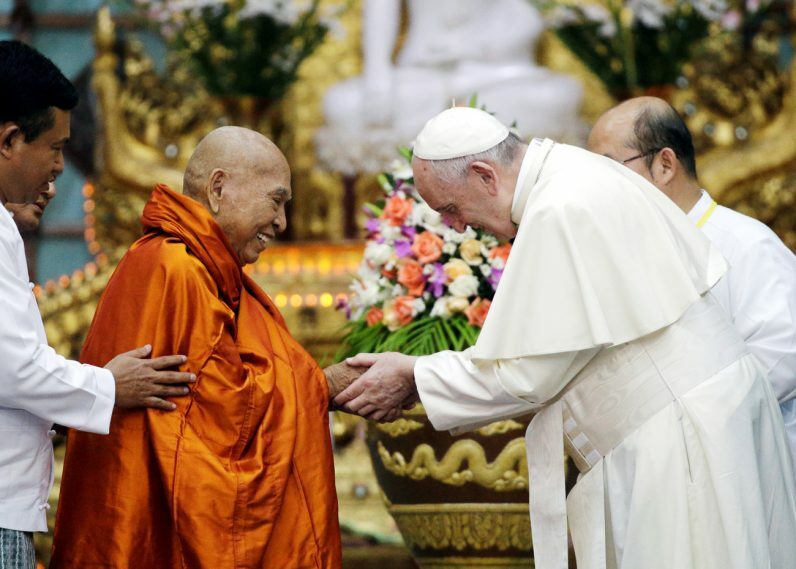 Pope Francis began his four-day visit to Myanmar Nov. 27, meeting with political and military leaders, plus religious leaders in the predominantly Buddhist nation, and celebrating a large outdoor Mass for the Catholic community. 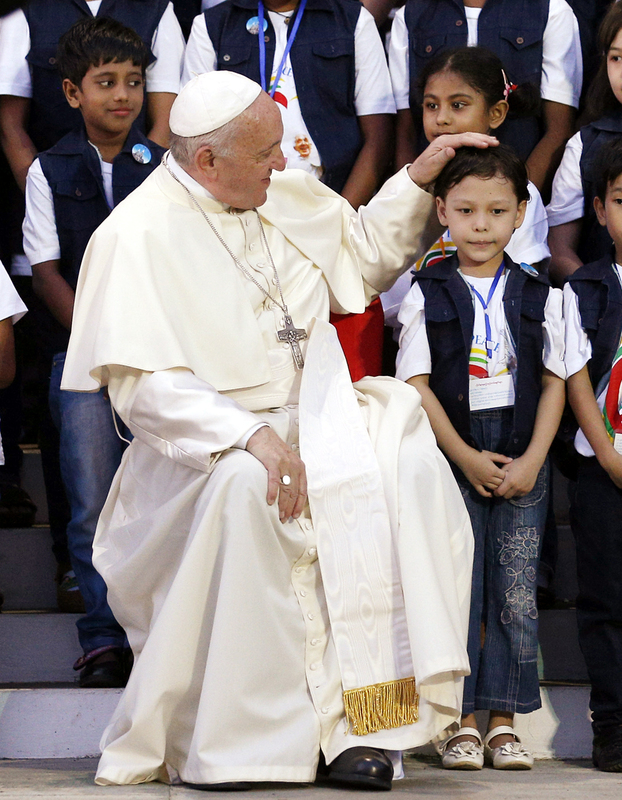 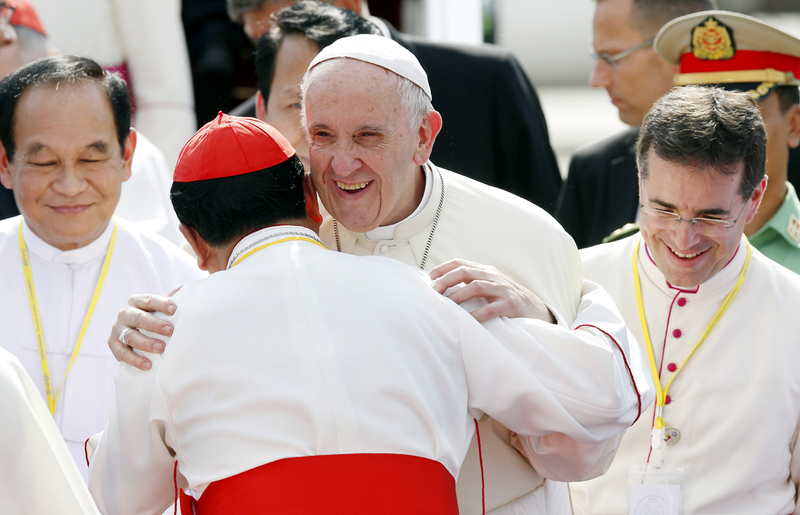 Read complete coverage of the pontiff’s visit in our World News section. 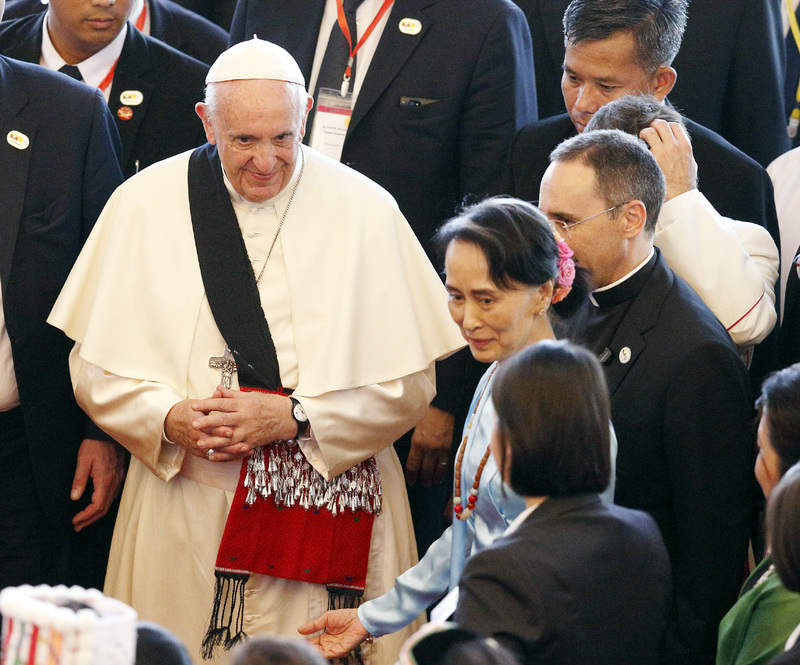 Pope Francis wears a gift as he arrives with Aung San Suu Kyi, state counselor and foreign minister of Myanmar, for a meeting with government authorities, members of civil society and the diplomatic corps at the Myanmar International Convention Center in Naypyitaw, Myanmar, Nov. 28. 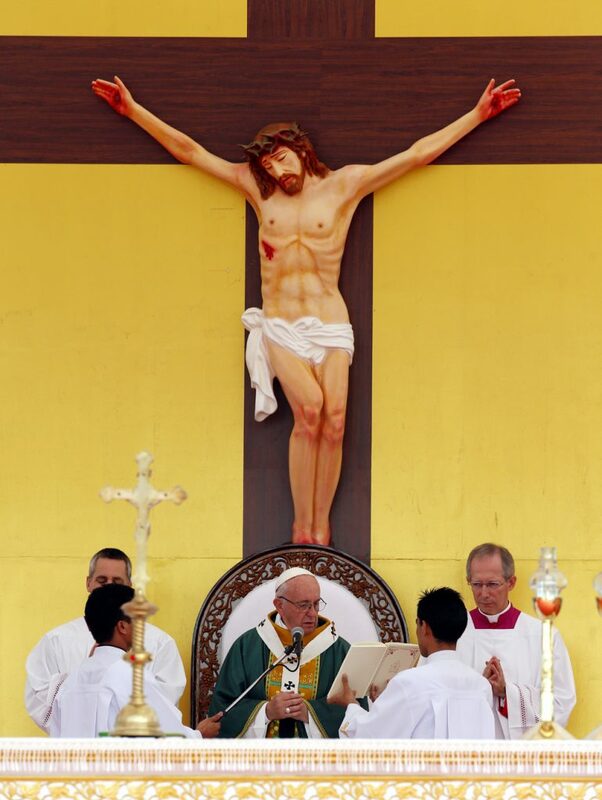 (CNS photo/Paul Haring) .